come with a winter village station. 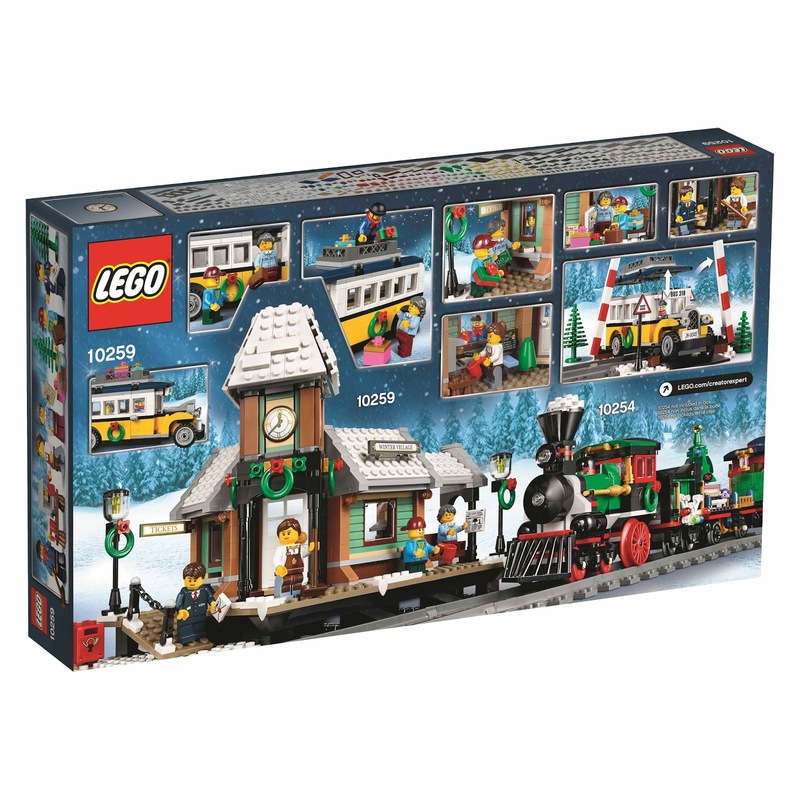 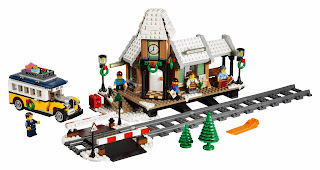 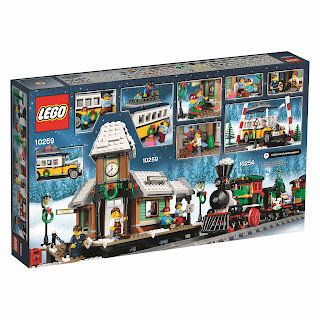 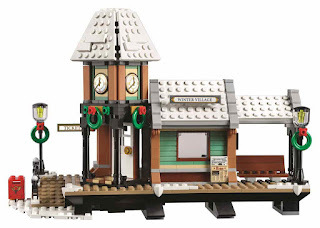 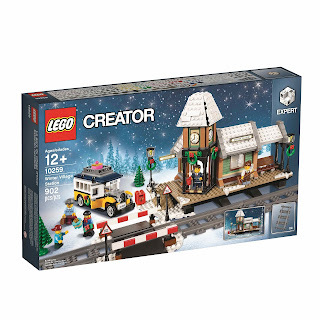 the station has a snowy train station, a clock tower, a platform, a coffee shop, a ticket counter, a grade crossing, twin barriers, lights, lampposts, a mailbox, green trees and a bus. 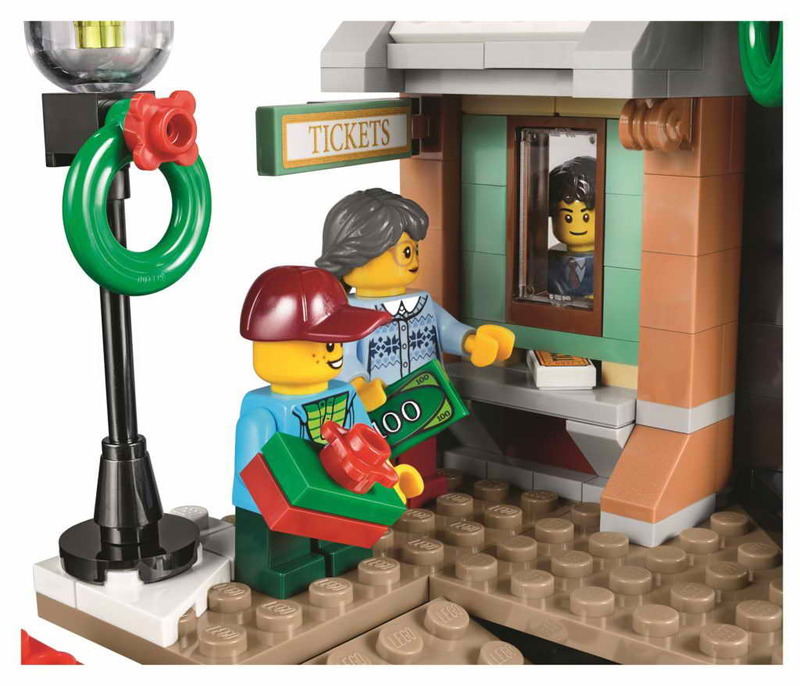 the ticket counter has a timetable, a transaction counter window and a room for slidable out tickets. 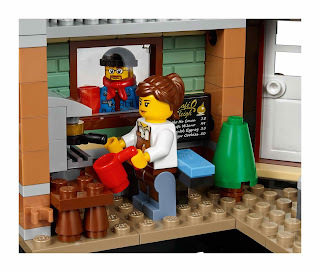 the coffee shop has a serving hatch, an espresso machine, cups, a cash register and a menu. 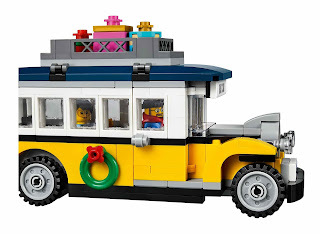 the bus has festive decoration, openable doors, a luggage rack, a removable luggage, gift wrapped packages and a removable roof for accessible interior. 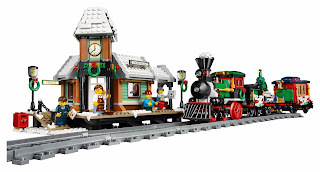 also included 4 straight track pieces to connect with LEGO 10254 winter holiday train. 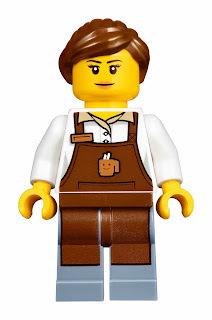 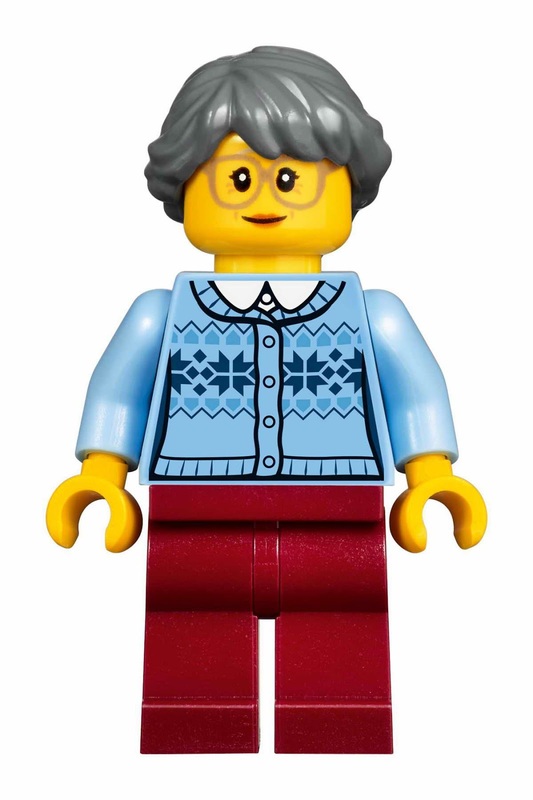 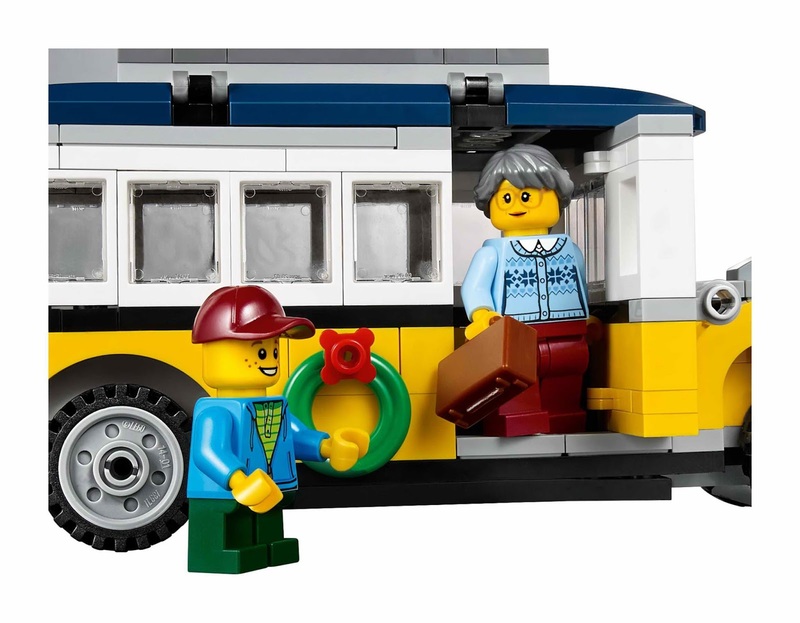 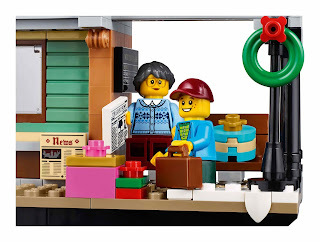 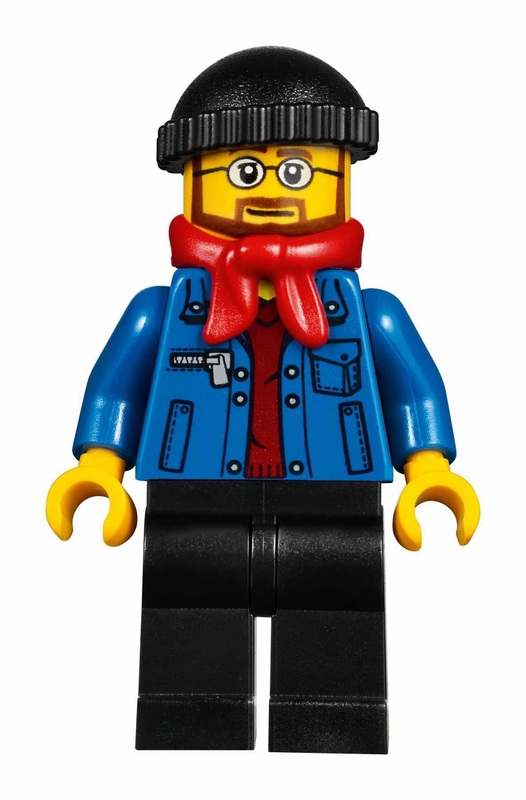 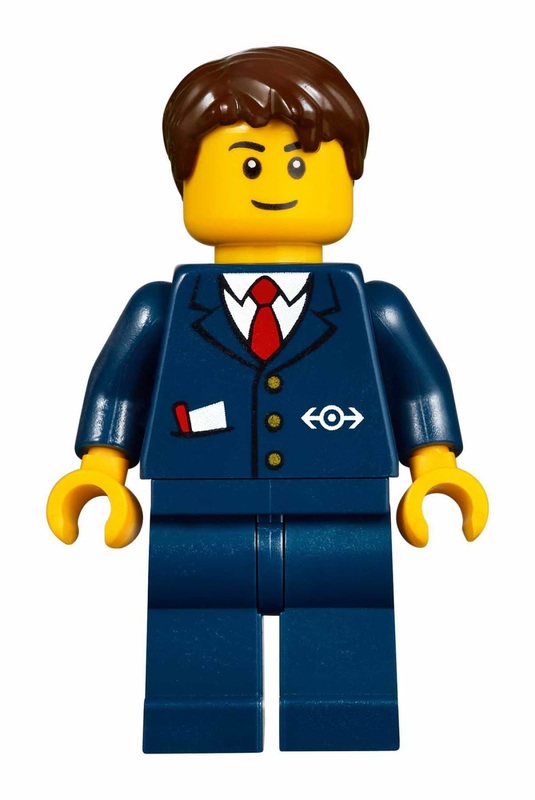 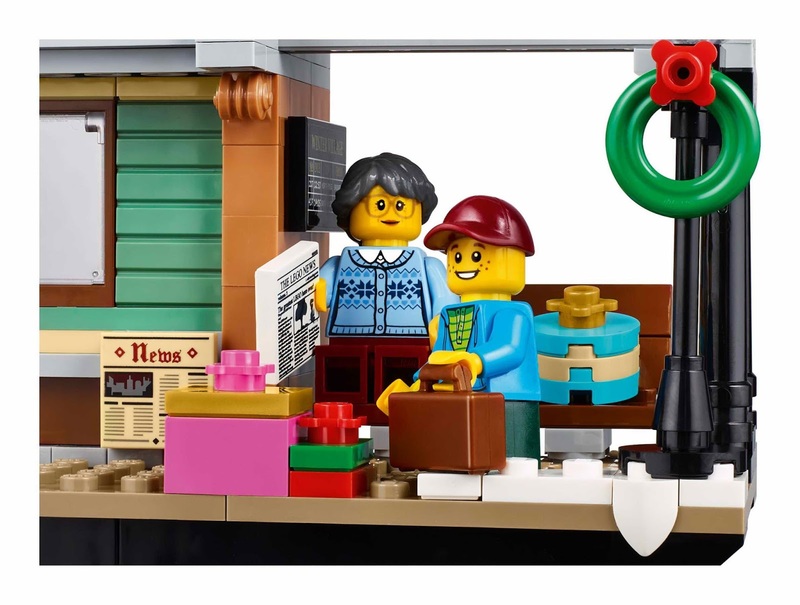 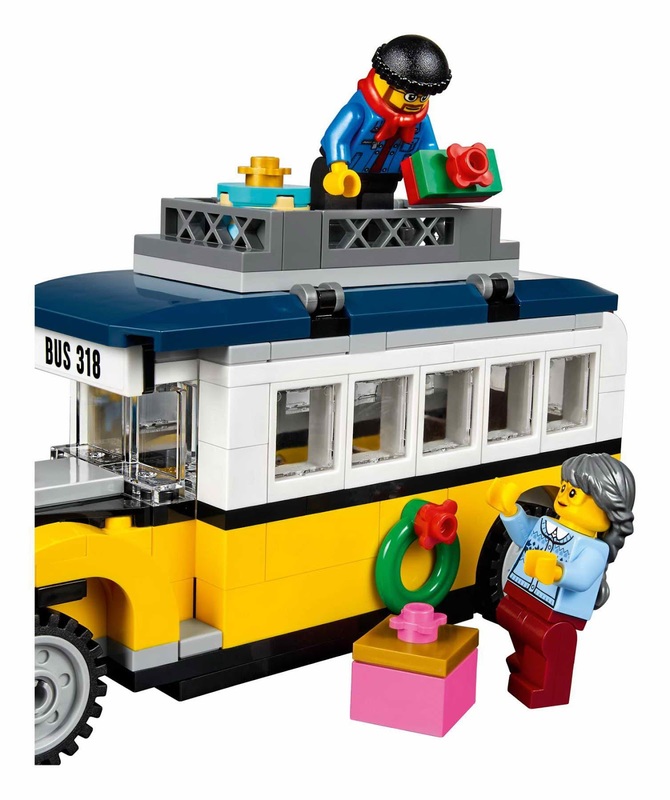 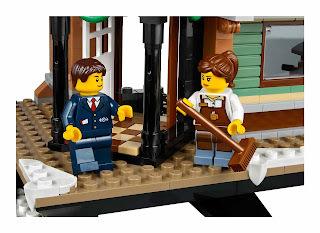 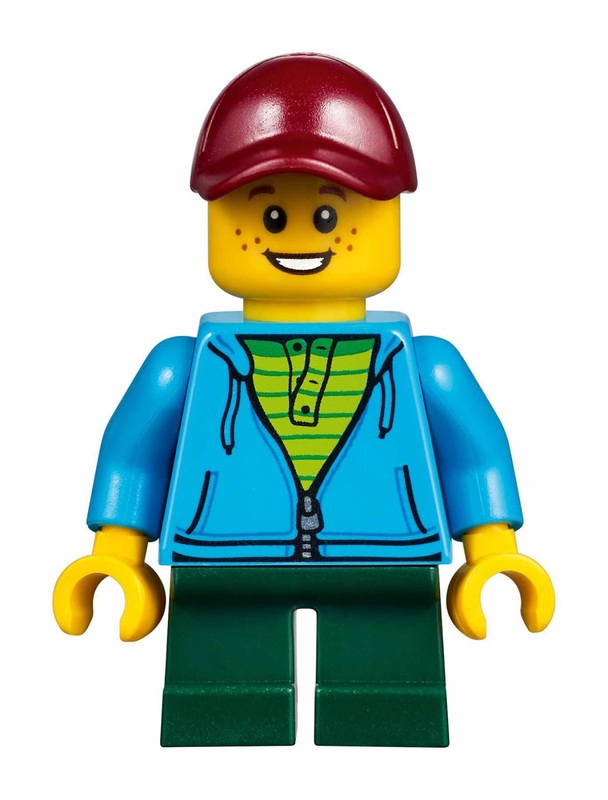 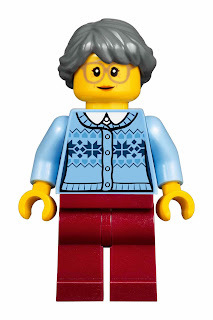 minifigs included a bus driver minifig, a barista minifig, a grandmother minifig, a child minifig and a ticket agent minifig.